When preparing art lesson plans on Vincent Van Gogh, reviewing his work from what is termed “The Potato Eaters” period, through the Asian inspired period and into the ‘Starry Night-Sunflower” period is a necessity if students are to understand the depth and passion of the artist. Van Gogh began his work influenced by the Dutch Masters. He was intrigued by the Masters’ ability to play with shadow and light. He also found a connection in the painting of common events and/or people. 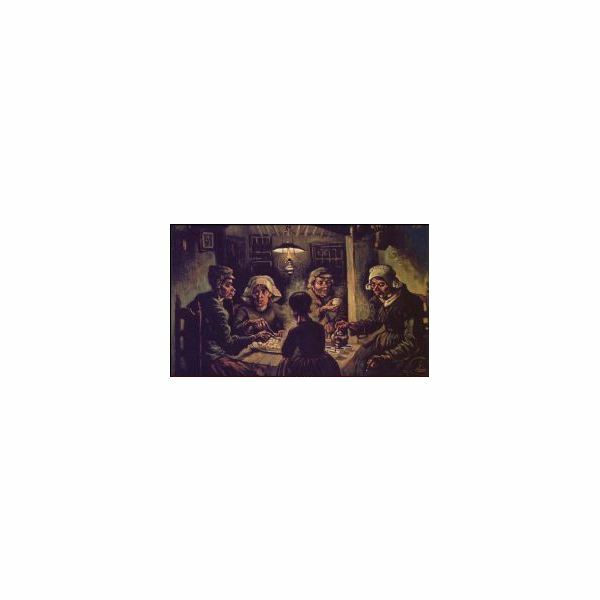 For instance, The Potato Eaters captures a group of peasants sitting down for a meal. The painting is dark, yet, light radiates from the faces. Darkness and light are themes that run heavily through Van Gogh’s work. Darkness and light reflected his wish create beauty, his feelings of inadequacy, and his desire to touch the souls of men. For instance, Starry Night draws the viewer into the painting of a sleeping village with its swirls of light and its rich evening sky. After looking at several of Van Gogh’s paintings and discussing the use of darkness/shadow and light, student can create modern equivalents of Van Gogh’s paintings. 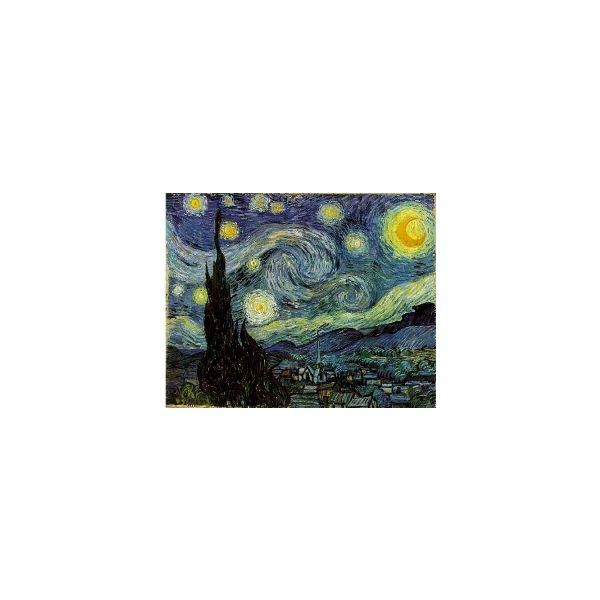 For example: Starry Night might show a cityscape with stars and the moon or seashore in the evening; Bedroom at Arles could be the student’s bedroom. Van Gogh’s paintings are full of metaphor. Having students research various pieces by Van Gogh will give them an opportunity to discover how, what and why Van Gogh used metaphor in his art. The attached handout gives students a list of metaphors along with a list of paintings to match with the metaphors. Once the students discover the metaphors in Van Gogh’s work, they should be able to begin their own creations. Give the students topics for which they can create metaphors in their paintings. Students should be encouraged to create their own pictures, using Van Gogh’s work as inspiration, but not copying the work. This allows the students to express their own passions and dreams while connecting to the work of Van Gogh. list of topics, such as: birth, graduation, hunger, plenty, loneliness, companionship, etc. Another important aspect of Van Gogh's work is that the topics of his artwork were common, everyday items, events and people. Van Gogh found beauty and pain in the most ordinary things. The ability to look past the obvious into the underlying layers of something is a skill that must be developed over time. Guide students to begin observing and seeing beauty and pain in the common by presenting them with various everyday items and scenarios. Allow them to manipulate the items in order to observe as much detail as possible; allow them to brainstorm details of the scenarios. Finally, have the students create pictures showing their interpretation of the item. list of common scenarios, such as: ball games, cafeteria lunches, school dances, homework, etc. Display the students’ work once they have completed the lesson as an excellent way to finalize the unit. Work can be displayed along with copies of Van Gogh’s work to show viewers where students got their inspiration.